There has been a lot of new RAM kits available in the last few weeks, mainly centered around the Sandy Bridge-E release. 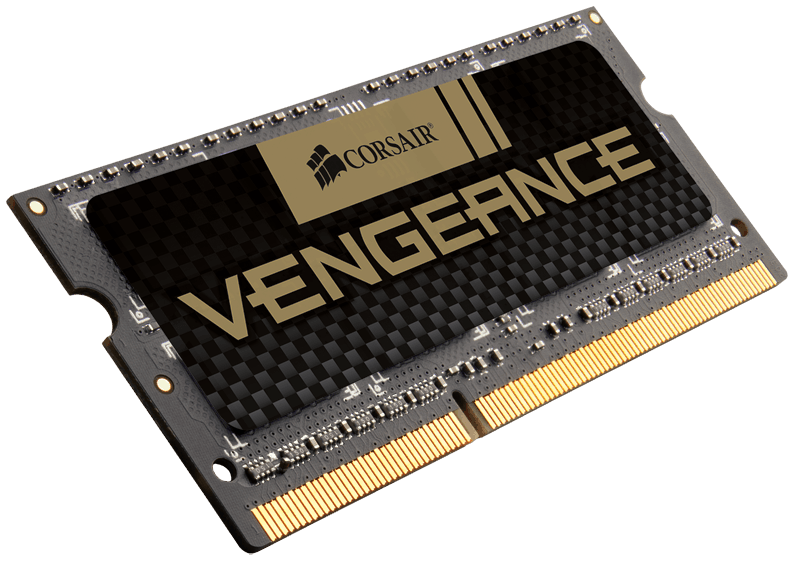 Corsair is looking to cover those who use gaming laptops as well as the desktop enthusiast with their new Vengeance RAM kits for laptops. These new DDR3 RAM kits boast the same 1866 MHz and 1600 MHz speeds, with 10-10-10-27 and 9-9-9-24 timing respectively. It’s the same spec as the full sized Vengeance kits for desktop. The initial release will see a single 4 GB stick at 1866 MHz and two more 8 GB kits: One at 1600 MHz and one at 1866 MHz. Memory is one of the simplest upgrades to a laptop. Though such high quality, density, and speed will cost accordingly. These kits are available immediately and range in price from $49.99 to $149.99. While a bit pricey, a memory upgrade can breath new life into your laptop. More details in the full press release below. Corsair, a worldwide designer and supplier of high-performance components to the PC gaming hardware market, today announced a line of high-performance memory upgrade kits for power laptop users. Operating at speeds of 1600MHz and 1866MHz, the new Vengeance laptop memory upgrade kits are an ideal solution for notebooks equipped with a 2nd Generation Intel Core i5 or Core i7 processor. Vengeance laptop memory is designed to be plug-and-play, with no BIOS adjustments needed to instantly take advantage of the faster memory speed. The new Vengeance high-performance memory upgrade kits for laptops are designed to work with any PC or notebook which accepts standard DDR3 SODIMMs, and are backward compatible with notebooks and laptops which use first-generation Intel Core i5 and Core i7 processors. Even on older notebooks, customers can still take advantage of the ability to upgrade to 8GB of memory using only two memory slots, and enjoy the confidence of Corsair’s renowned service and support.